The 9-hole Caberfae Peaks Ski & Golf Resort in Cadillac, MI is a resort golf course that opened in 1995. 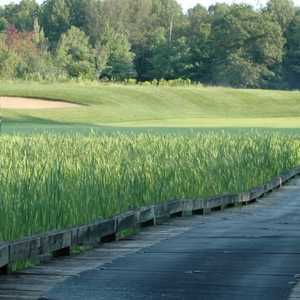 Designed by Harry Bowers, Caberfae Peaks Ski & Golf Resort measures 3341 yards from the longest tees. The course features 4 sets of tees for different skill levels. The 18-hole Cadillac Country Club in Cadillac, MI is a semi-private golf course that opened in 1910. Designed by Paul Blick, Cadillac Country Club measures 6107 yards from the longest tees and has a slope rating of 121 and a 69.1 USGA rating. The course features 4 sets of tees for different skill levels. 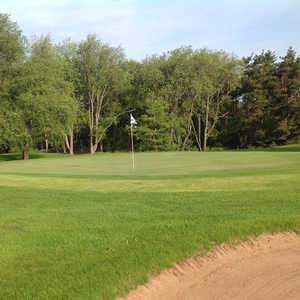 Eldorado, located just south of Cadillac, has built a reputation as one of the best golf values in the Great Lakes area. The championship layout sprawls across rolling hills laced with flowering wetland areas. The golf course features elevated tees and generous green complexes with subtle but tricky undulations. The 18-hole Lakewood on the Green Golf Course in Cadillac, MI is a public golf course that opened in 1980. Designed by Pete Smith, Lakewood on the Green Golf Course measures 6085 yards from the longest tees and has a slope rating of 136 and a 75. 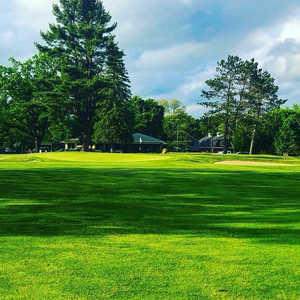 The 9-hole Norway at Evergreen Resort in Cadillac, MI is a resort golf course that opened in 1959. Designed by Jerry Matthews, Norway at Evergreen Resort measures 2792 yards from the longest tees and has a slope rating of 107 and a 32. The 18-hole Spruce at Evergreen Resort in Cadillac, MI is a resort golf course that opened in 1954. Designed by Jerry Matthews, Spruce at Evergreen Resort measures 6438 yards from the longest tees and has a slope rating of 130 and a 71.